Welcome to the MSU Two-Minute Lecture Series, sponsored by the College of Arts and Sciences. In this series, MSU professors, with passion and enthusiasm, present their knowledge about individual research and creative interests. The challenge is the two-minute format—shorter is not easier. Our goal is to promote the intellectual environment of the college as well as stimulate learning. And to have some fun. 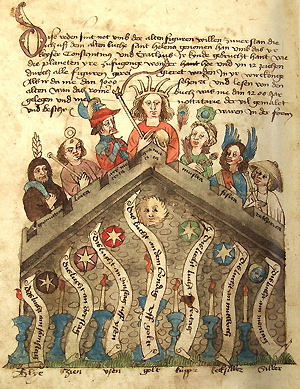 Since the birth of the medieval universities in the 13th century CE, students have been schooled in the Seven Liberal Arts, broken into two separate categories of study: the trivium—logic, grammar, and rhetoric, and the quadrivium—mathematics, geometry, music, and astronomy. Today these 'Seven Roads' remain the essential center of a university education. At Minot State University as elsewhere across the nation and the world, they comprise our College of Arts and Sciences, and we are rightly proud of not only keeping with the learned traditions established as essential in the Middle Ages, but of expanding them to include the plastic arts, theater, broadcasting, and by extension, Education and Business too. In order to reach out to students and others in celebration of our Liberal Arts Heritage at MSU, we offer a series of short introductions to the many topics students meet while traveling the Seven Roads and beyond. When: 12:30 p.m., the Second and last Wednesday of each month, both terms. September 12, 2018: Sarah Aleshire (English) "De-Mythologizing Gender"
September 26, 2018: Charles Young (Music) "The Depths of Knowing"
October 11, 2018: Patti Kurtz (English) "Writing Advice You Can Ignore"
October 24, 2018: Jynette Larshus (Political Science) "The 'Millennial' impact and the Changing Face of the Electorate"
2017-18 Two Minute Lecture Series Lineup! October 25, 2017: Nicole Thom-Arens (Commarts), "Journalists Under Attack: Combating Fake News"
November 8, 2017: Dan Conn (Education), "Attending to the Imagination: Re-imagining Teaching through the Lesson Schetch"
November 29, 2017: Bill Harbort (Art) , "Collage"
December 6, 2017: Erik Anderson (Music), "Music for One...plus one...plus one..."
February 14, 2018: Andrea Donovan, "Stealing and Saving Historic Artifacts"
February 28, 2018: Heidi Super "Erasing Race"
March 7, 2018: David Rolandson, "Whose Music?" April 11, 2018: Ryan Stander "Land Matters"
April 25, 2018: Rick Watson "Gold Watch Tick-Tock"
September 28, 2016: Nicole Thom-Arens (Writing and Lit) "Real Stories"
October 12, 2016: Micah Bloom (Art) "Art Doesn't Fit In"
October 26, 2016: Mark McQuade (Music) "Fraternal Twins: Musical Theatre and Opera"
November 23, 2016: Amanda Watts (Humanities, Writing) "Glue Lives"
January 25, 2017: Alexandra Deufel (Biology) "The pterygoid walk"
February 8, 2017: Ron Fischer (Writing and Literature) "Creative Writing: When the Character Comes Alive"
February 22, 2017: Jean-Francois Mondon (Foreign Language) "When Languages Fight: Contact Situations, or the Un-Englishness of English"
March 8, 2017: Melissa Naslund (Psychology) "Expressive Art: A Therapeutic Medium." March 22, 2017: Eric Furuseth (Humanities, Literature) "The 'Broken Dandy:' The Satirical Narrator of Byron's Don Juan. April 12, 2017: Ash Bowen (Writing, Literature) "Lie and Fact in Geoffrey Brock's 'And Day Brought Back My Night.'" April 26, 2017: Rick Watson (Comm Arts, Humanities) "Cafeteria Blues"